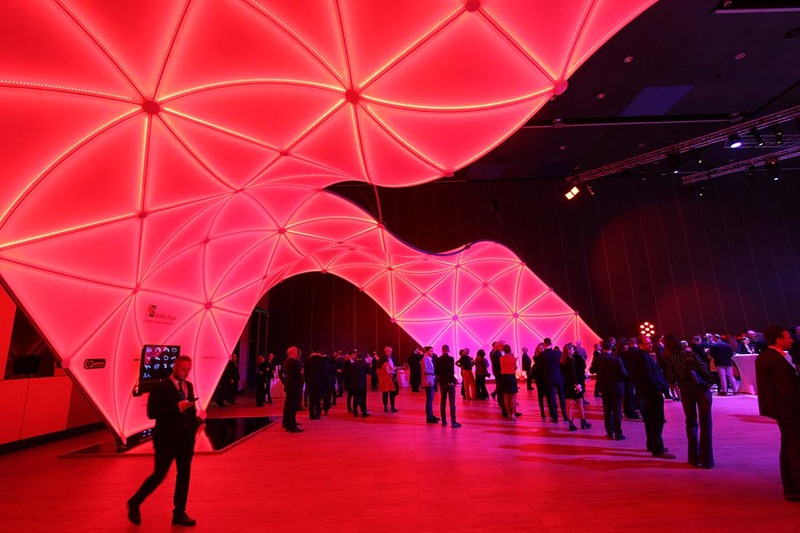 In November 2018, the new EXPOFORUM Convention and Exhibition Center in St. Petersburg played host to the 85th ufi Global Congress. 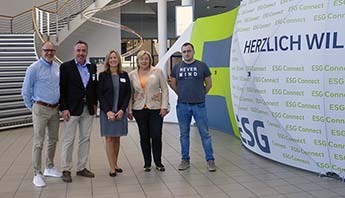 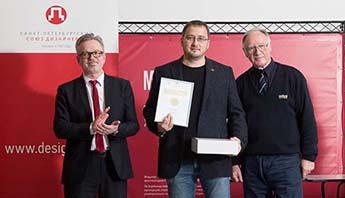 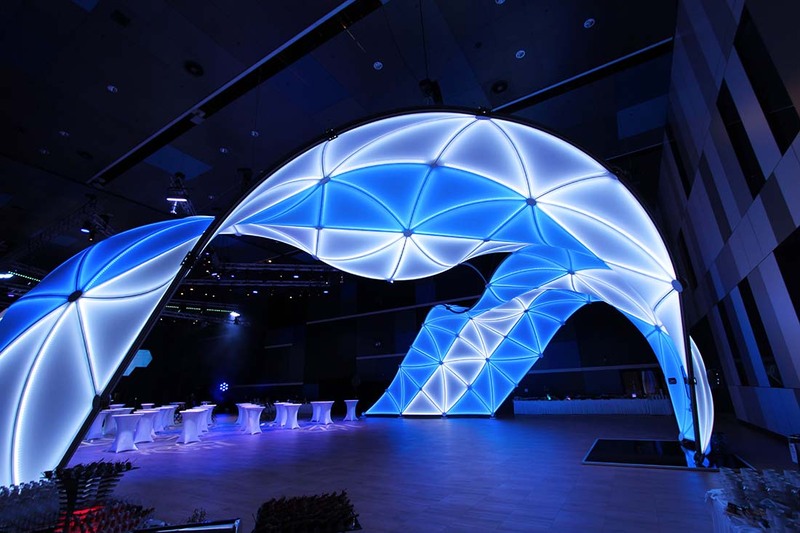 The world’s largest meeting of trade fair organisers, it was the perfect occasion for visiting experts from all over the world to marvel at the new INFINITYCONST system. 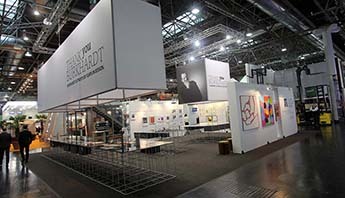 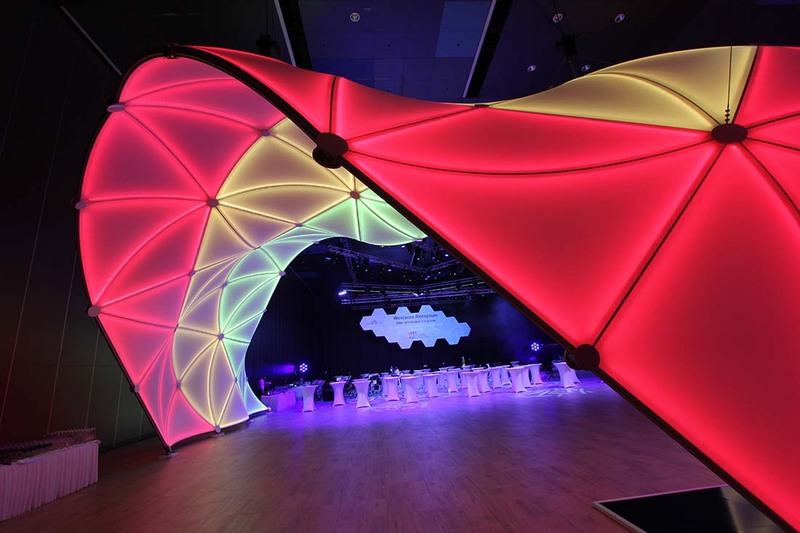 We were delighted to demonstrate to this discerning public just how perfect INFINITYCONST is for use at such events. 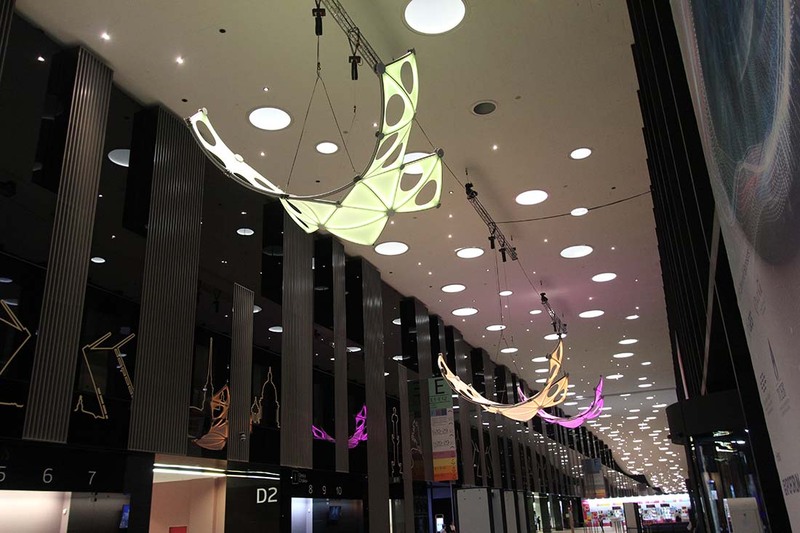 Three butterfly-like structures were suspended below the ceiling of the Grand Passage to show the approx. 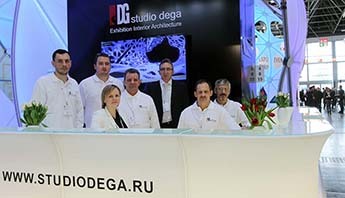 500 visitors the way to their next congress event. 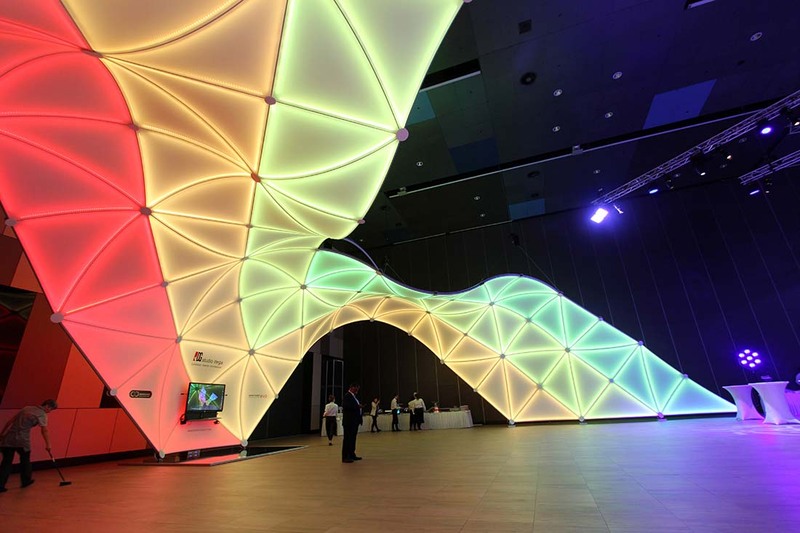 Meanwhile, in congress hall E8-E12, an area of approx. 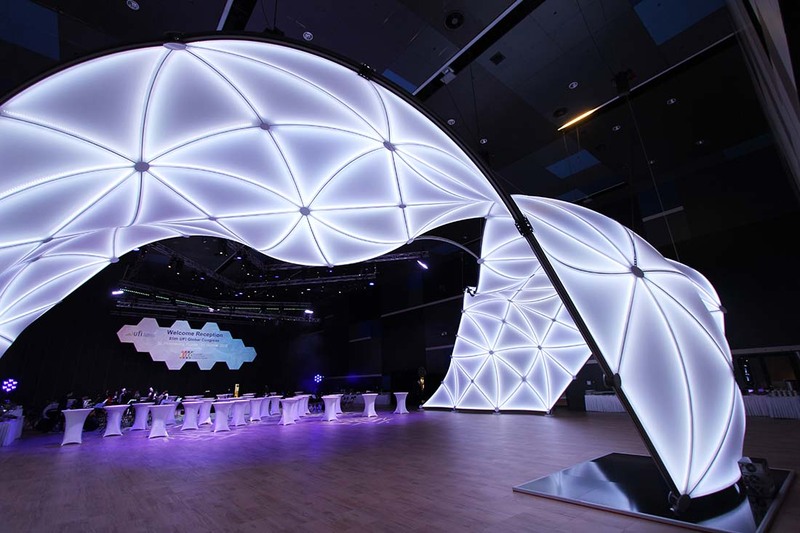 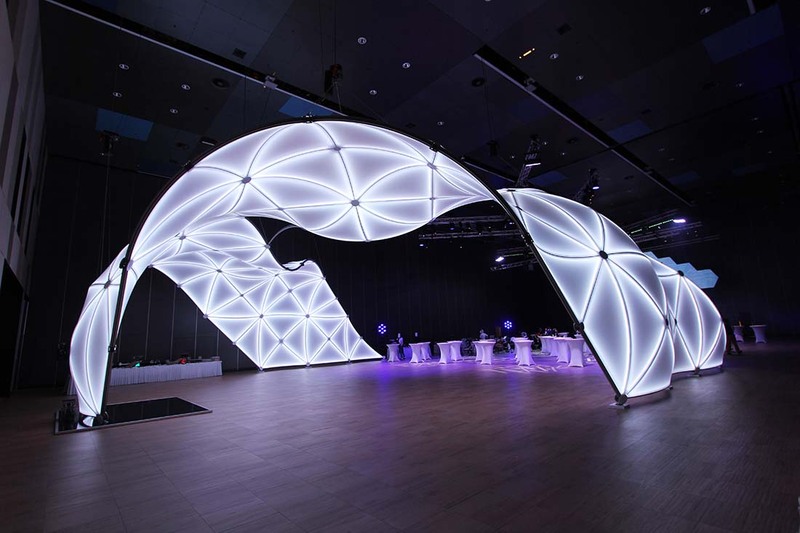 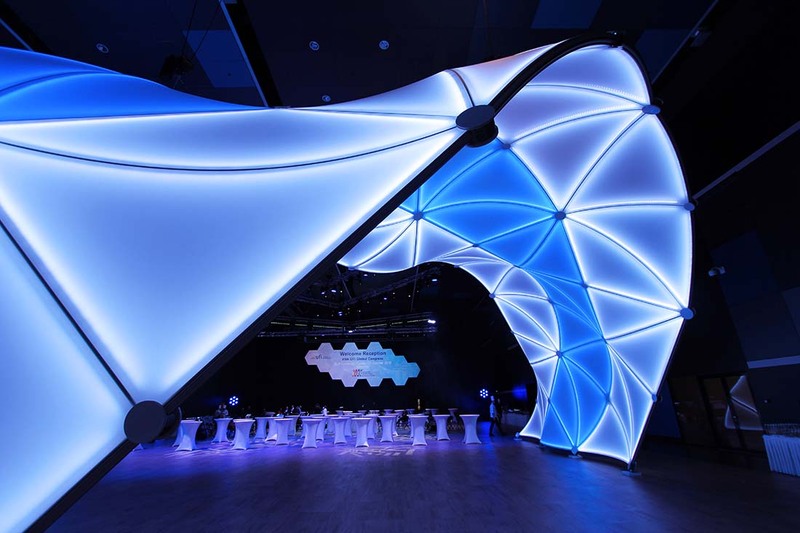 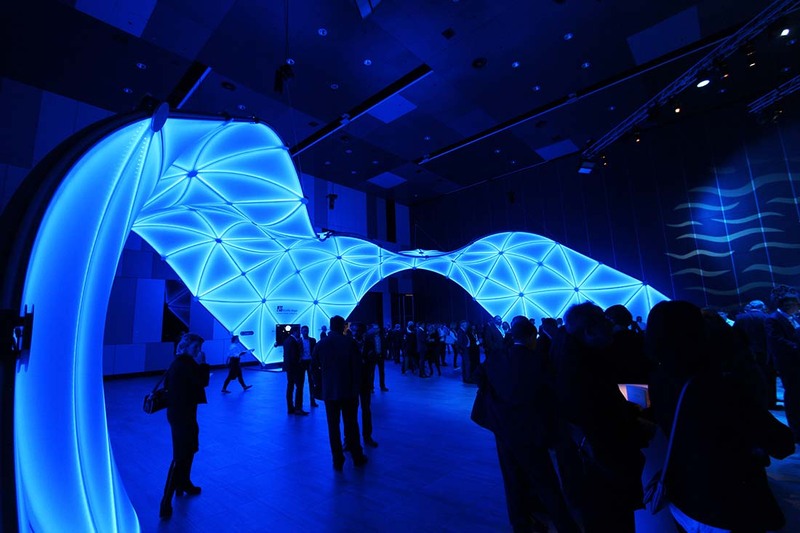 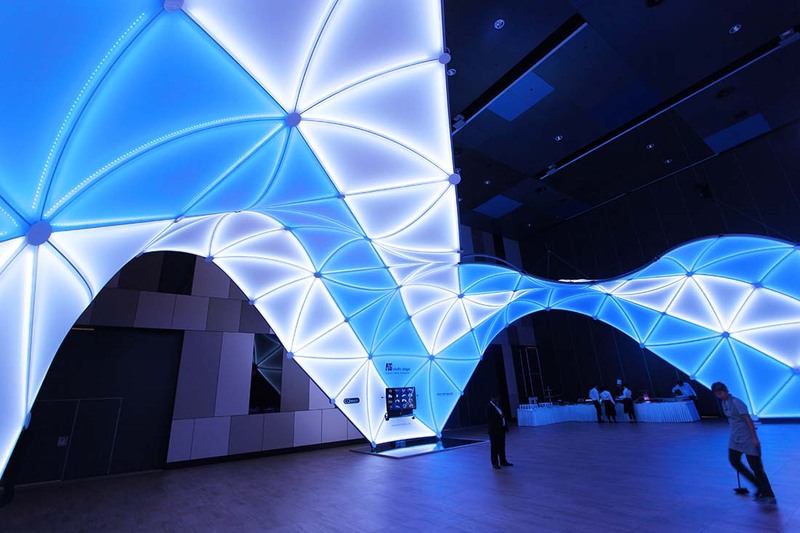 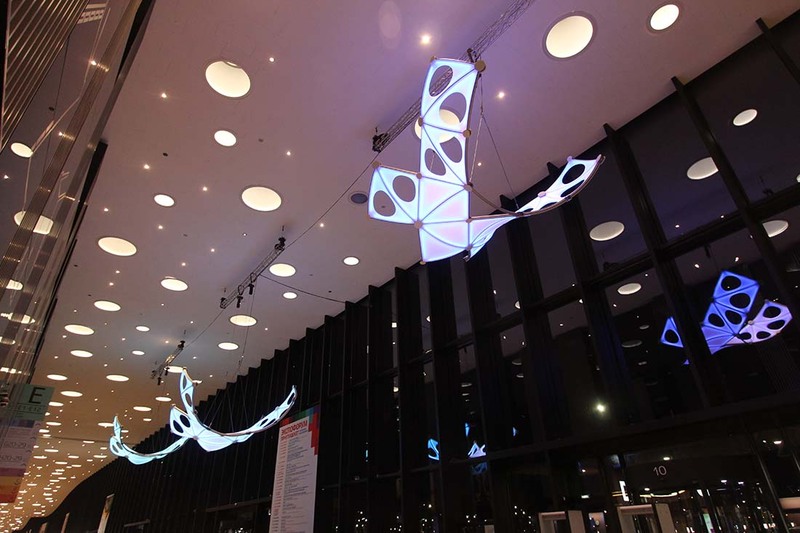 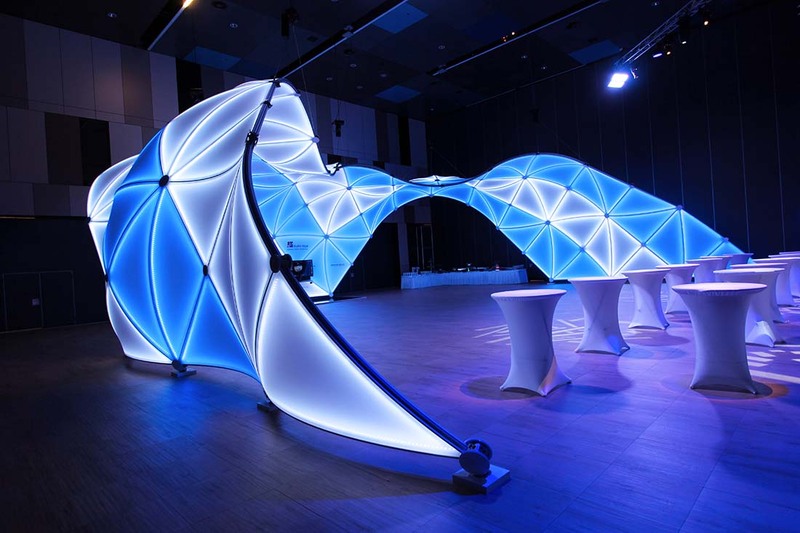 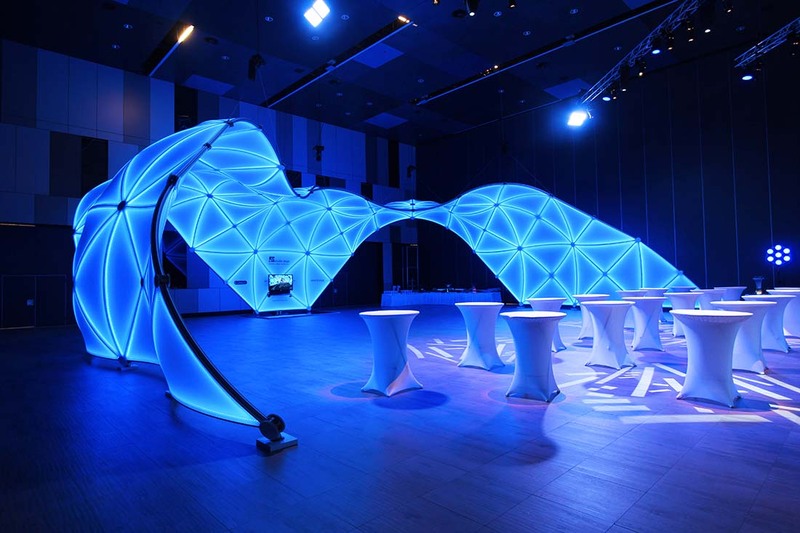 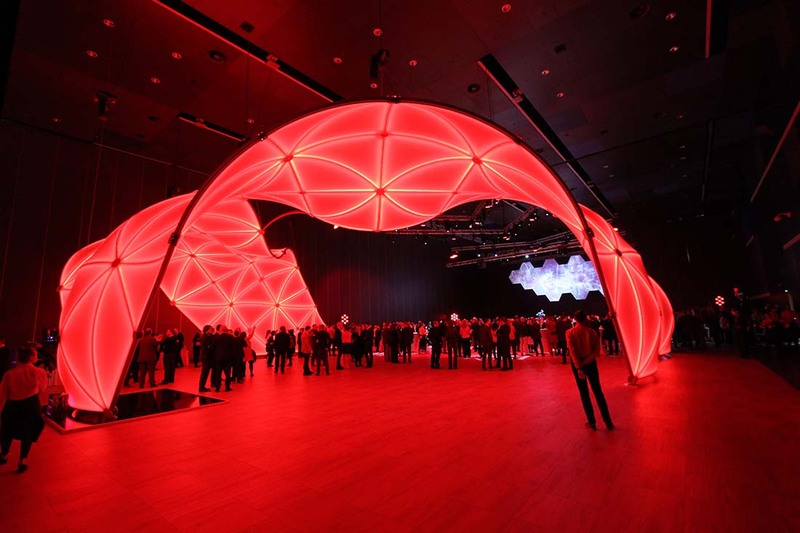 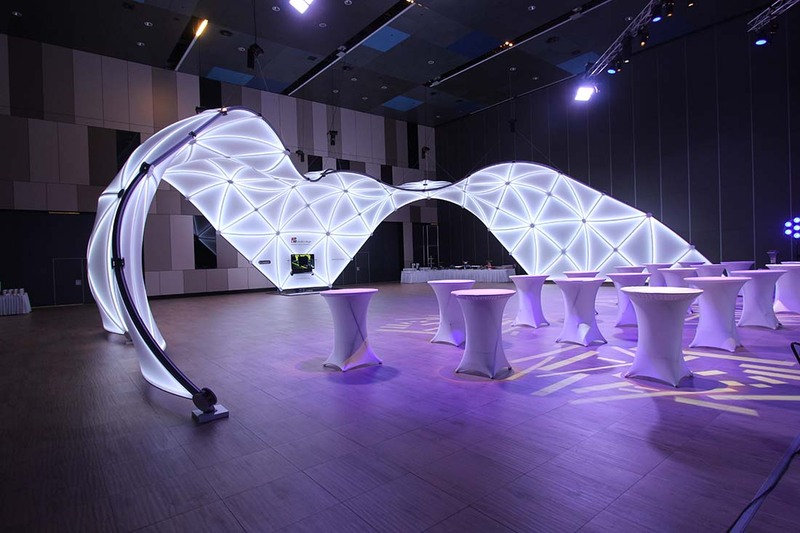 400 m² was set up especially for the welcome reception, adorned with a wing-like structure with a 300 cm axis that was made using the INFINITYCONSTevo system. 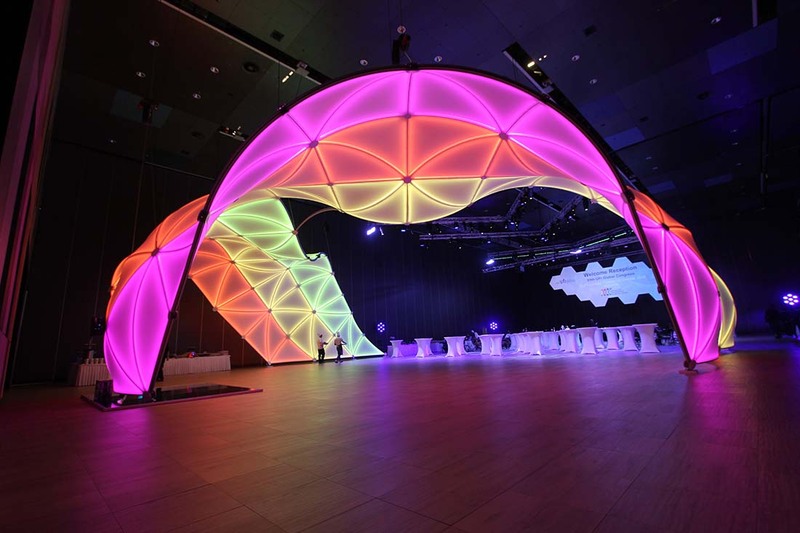 It took five installation engineers and two electricians 25 hours to build this 17.9 x 20.5 x 5.9 m (LxWxH) structure. 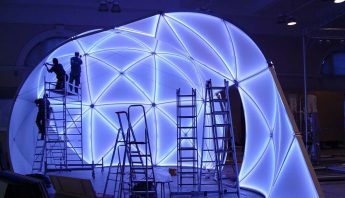 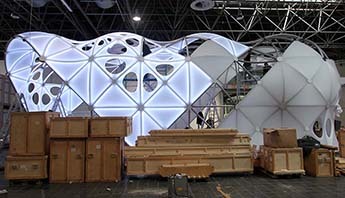 The three butterflies in the Grand Passage of the EXPOFORUM were smaller, at 11.0 x 10.2 x 7.0 m (LxWxH) each, and were set up in just five hours.